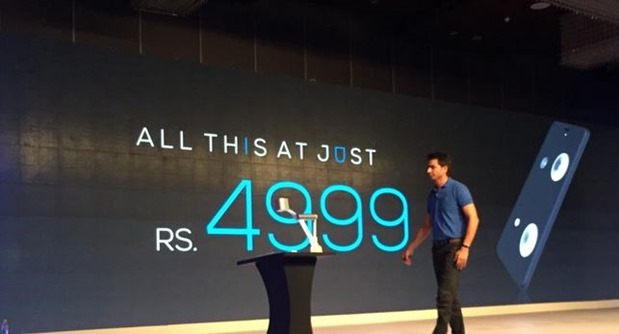 Rahul Sharma, Founder and CEO of Micromax today unveiled a transformational health device that could change the way we carry out routine medical tests. Called HEALTHYU, this device can carry out various medical tests including ECG (Electro-Cardiogram), Skin Temperature, Blood Pressure, Blood Oxygen Saturation, Heart Rate and Respiration rate. The audio cassette sized device basically attaches to the backside of the smartphone and then user needs to just push the 2 buttons on the cassette for a few seconds and all the readings start showing up on the smartphone. The readings could then be saved to your smartphone and can also be sent to your doctor directly to your doctor at the touch of a button. This is first such device to be launched by any smartphone company in India, and if worked as mentioned, it could definitely be one of the most useful devices people can have with them. And yes, it could be a life-saver in many situations. All data that collected remains stored in the Yu App on the cloud of all the tests conducted previously, so user can always refer to the historical tests conducted. The best part about the HealthYU cassette is that it can work with any smartphone and is based on an open platform. At the launch event this device was launched along with Yuphoria Smartphone and YuFit fitness band. 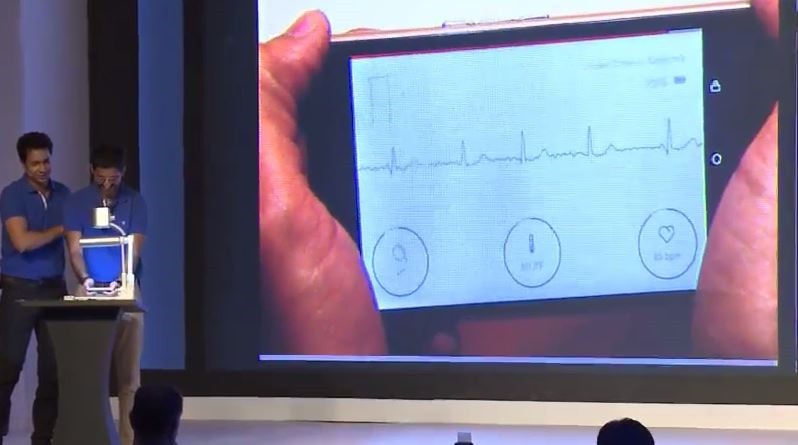 While the device will start selling in a months time, Rahul Sharma did a live demo that gave a glimpse of potential of HealthYU device. HealthYU is priced at Rs. 4999/-. While some may find the price to be slightly higher, given the kind of medical tests it can do, I believe the price is justified. While the device is great, the most important factor for the success of this device will be how accurate are the test results. Historically, smartphone based medical tests are known to be inaccurate, however, if this new device is able to conduct tests even with 90% accuracy, it could be one of the best devices people can own. Imagine taking these 6 medical tests for you and your family at anytime anywhere, without any cost and without any wait time. Yes, it is truly transformational as long as it gives realistic and accurate results! We will update you more on this as soon as we are able to get our hands on this device. Uber Rides Can Now Be Paid by Cash, A Global First For Uber!